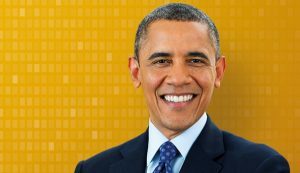 New York (United States) – March 26, 2019 (travelindex.com) – The World Travel and Tourism Council (WTTC) is delighted to announce that the 44th President of the United States, President Barack Obama, will be a guest of honour and keynote speaker at its Global Summit in Seville, Spain, to be held between 2-4 April 2019. President Obama served as President from 2009 to 2017. Today, his presidency is defined by the astute leadership he showed amid global economic uncertainty, heightened security concerns and immense environmental risk. His legacy includes making unprecedented strides towards the adoption of clean energy and overseeing the longest stretch of job creation in American history. President Obama is the natural choice as a headline speaker for the 2019 Global Summit, which adopts the theme of ‘Changemakers’ to celebrate the people and ideas who are defining the future of our sector. Gloria Guevara, President & CEO, WTTC remarked, “We are humbled and honoured to be hosting such an important leader as President Barack Obama at our Global Summit this year. During his time in office he embodied the notion that Travel & Tourism is a driver of economic growth and creator of jobs.